Honolulu Nail Academy is the only nail school in the entire state of Hawaii. With students from all over the world, the academy even lets aspiring nail techs take some of their lessons online. 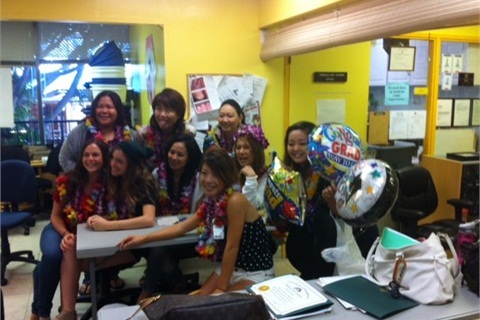 When Honolulu Nail Academy (HNA) opened in 2004, it became the only nail school in the entire state of Hawaii. It continues to fill a niche to this day as the sole option on the island for nail-focused training. Owners Eric and Yuko Ho originally opened the academy because they saw a serious lack of education regarding nails on the island. “They recognized a need in the training of nail technicians and wanted to share their knowledge and emphasize the importance of proper technique,” says instructor Jessica Taylor. Most significant was a lack of proper understanding of state rules and regulations for sanitation and disinfection, Taylor adds. The school filled that void by providing students in Hawaii with the resources to learn from experienced professionals. “In our curriculum, we continue to exceed the state requirements and teach our students advanced techniques, updates to products, and industry changes,” Taylor adds. HNA is located in the neighborhood of Waikiki on the island of Honolulu, a strategic spot that makes it convenient for students throughout the state to attend. Curriculum at HNA is 100% focused on nails, and the school even offers online lessons, allowing students to attend the school part-time. “They are responsible to read each chapter on their own at home and submit their workbook assignments and quizzes online,” Taylor says. Those online students then come to class at noon to begin the in personpart of their lessons with full-time students. Full-time attendance is usually from 9 a.m. to 4 p.m., Monday through Friday. Students at the academy are equipped with the skills to succeed in the business of nails after completing the required 350 hours. Manicuring, pedicuring, acrylic nails, gel nails, wraps, nail art, 3-D art, and waxing are the primary focuses of education at HNA. Live demonstrations for every procedure are common while teaching at the academy. Instructors are hands-on in guiding students in their education to ensure they get everything they need out of the lessons. “We all have a passion for the student’s education, which is always our first priority as well as a professional responsibility to the nail industry,” Taylor adds. The student body is just as international as local at HNA, and pupils come from as far away as Japan, Guam, Thailand, China, and Vietnam. Most students are mid-career in different fields looking to change professions. The maximum number of students per the two and a half month courses is 14, and the school averages eight to 10 students per session at five sessions per year. HNA keeps in touch with graduates through a private group page on Facebook, where students are welcome to ask question and, get advice and updates on industry trends. Students are also provided assistance by instructors in finding work after that graduate from the academy. The student experience isn’t over at graduation as the graduates are encouraged by instructors to keep contact and continuously update the academy on their progress “They are like family and we will be there for them,” Taylor says. The school hopes to expand its curriculum in the future to include a wider range of courses, including a medical nail technician class. Editor’s Note: This profile is part of a series spotlighting successful nail programs. 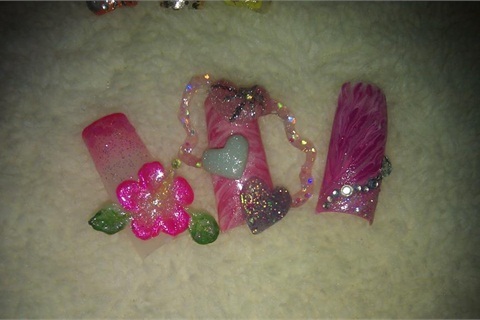 To nominate a nail program for an article, please e-mail sree.roy[at]bobit.com.